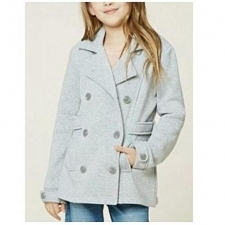 A.Yilian Girls Long Sleeve Coat. Its color is pink with two buttons in front. Is got a bow design on the neckline. On the inside its got small shapes. 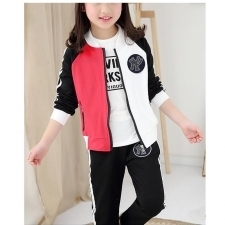 Its material is polyester and cotton. The item is in good condition.